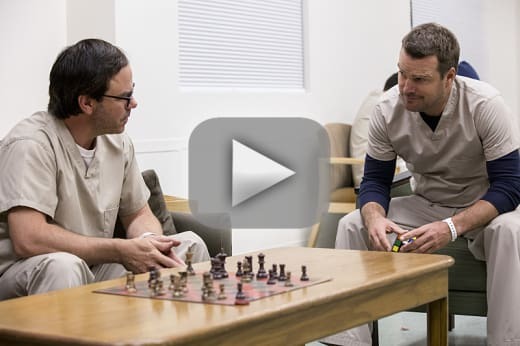 Did Callen go too far in his latest mission? 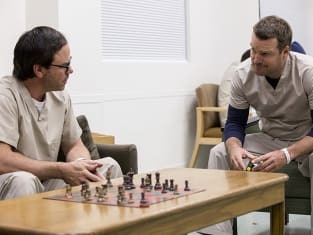 That was addressed on NCIS: Los Angeles Season 8 Episode 7 when he went undercover as a patient in a mental health hospital. His mission was to find an NSA agent who disappeared while tracking an ISIS cell trying to cross the Mexican border. However, there was someone out to get him when they got wind of the mission he was doing. Use the video above to watch NCIS: Los Angeles online to get caught up with the latest developments for the characters. Kensi: I can't stand, I can't walk, I can't use my left hand. How much worse can it get? Dr. Miller: Just look around you. Permalink: Just look around you. Granger: Callen, you do have issues. Granger: I have access to your personnel files, your psych evaluations. You're going in. Permalink: I have access to your personnel files, your psych evaluations. You're going in.